"Here we are together, drinking wine, ale, and stout. May the roof above never fall in and the friends below never fall out." The two most important buildings in every English village are the church... and the pub. 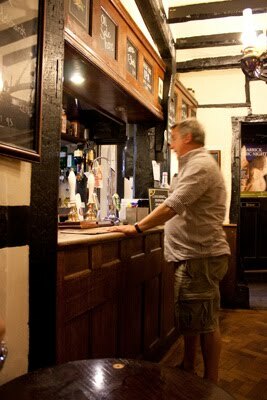 The pubs have been the center of village life for centuries. 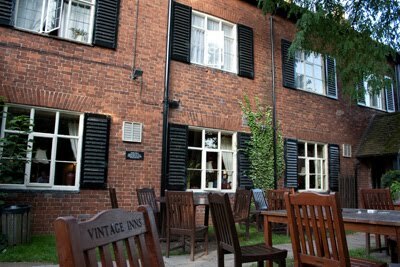 A proper pub is often located right next to the church. 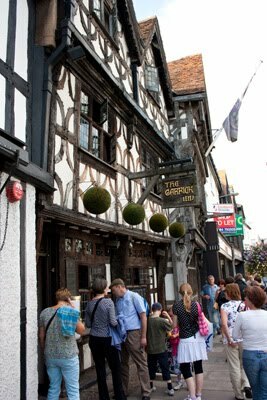 Here is one of the oldest Pubs in Stratford Upon Avon—the Garrick. 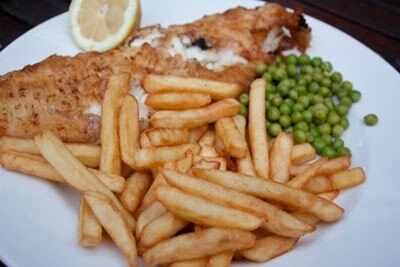 For dinner, we went to an old Pub where Ian often went as a youngster, called the King's Head. It was a wonderful evening, and sure enough, it was located right next to the church. They were doing bell practice that night, and a cacophony of bells sounded throughout our meal. The ambiance was fabulous. 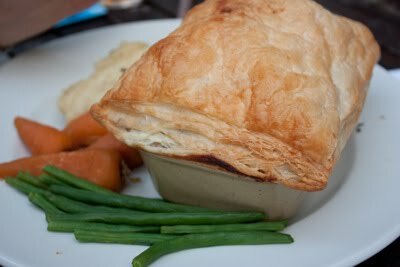 We ordered the quintessential Pub food—fish and chips and beef pot pie. This was the highlight of my day and a very memorable evening.